Here's Oscar on a recent morning at his local swimming class, Aqua Beba. They recently took some pictures for their marketing materials and this was one of my favorites. I can't get enough of it! 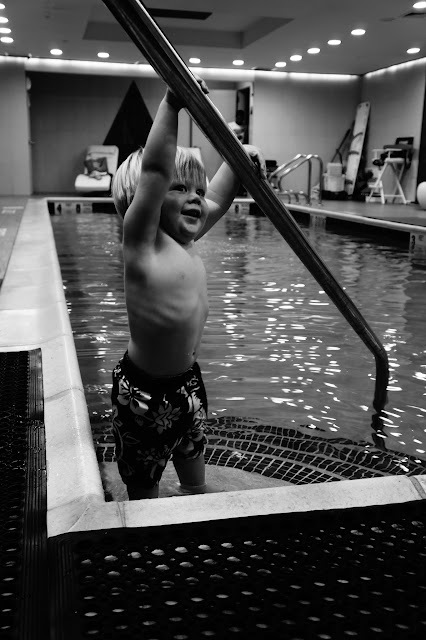 He's been taking swimming classes with his papa for a few months now and they're having so much fun. Will says he's very close to swimming independently, which amazes me. What a funny, intense little person. If only we could all face life with such bemusement and passion.